As Dubai Marina is head and shoulders above other residential and commercial communities of Dubai and has been on top of Bayut’s list of popular property renting and buying areas for several consecutive months, it is no surprise that many real estate developers remain on the lookout for launching a new real estate project in the area. 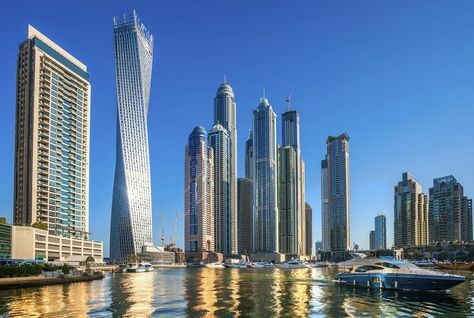 With land in Dubai Marina becoming increasingly scarce, the area has become even more sought after for both buyers, investors, renters as well as property developers. Studio apartments in Dubai Marina earned their owners an average of 8% in rental yield in the first half of the year, making it one of the most profitable areas to put up property on lease. Dubai Marina also is one of the most populous areas of the emirate, and occupation rate of units in the area remains well above 90%. Given its attraction, one of the leading real estate developers in Dubai, Select Group, has announced plans to build another marvelous residential tower in the locality at a cost of AED 450 million. The new 31-storey project named Studio One will be the group’s 14th venture in Dubai Marina, hinting at both the area’s demand and profitability. The twoer will be built close to the Bluewaters Island development, which is slated to become a key feature of Dubai’s skyline in the coming years. The developer plans to lace the Studio One tower with studio units, one-bedroom and two-bedroom apartments that will be aimed at the younger crowd of buyers. The Studio One brochure says the building will be designed “for the millennials, the busy young professionals, the first time home owners and savvy investors looking for attractive returns”. The plans laid out in the brochure hint at “carefully planned homes” featuring “full length windows and highly efficient layouts. Two levels of dedicated underground parking, a breathtaking swimming pool and conveniently located ground level retail” area. Prices for studio units will start from as little as AED 574,000, one-bed apartments will begin from AED 899,000, while prices for two-bed units would start from AED 1,349,000, with varied payment plans. “Studio One is a project that aspires to cater to the current pulse of Dubai’s real estate market, which comprises value driven young professionals and families. The combination of a prime urban location, smartly designed layouts, attractive price point and a great payment plan promises to be a viable investment option for the new generation of home buyers in Dubai,” said Select Group CEO Rahail Aslam. The project is expected to be completed by the end of December 2018.